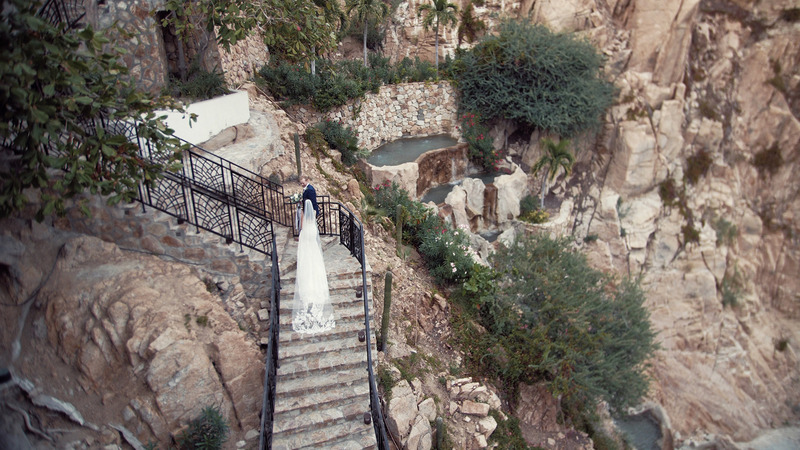 This Los Cabos wedding (Cabos San Lucas specifically) is one of our favourite Destination Wedding Films. Tasha and Ben came to us through a network of friends in Vancouver. I think we’ve probably shot 4 or 5 weddings for various acquaintances of theirs! So we kinda knew what we were getting. Fun loving, easy going people. 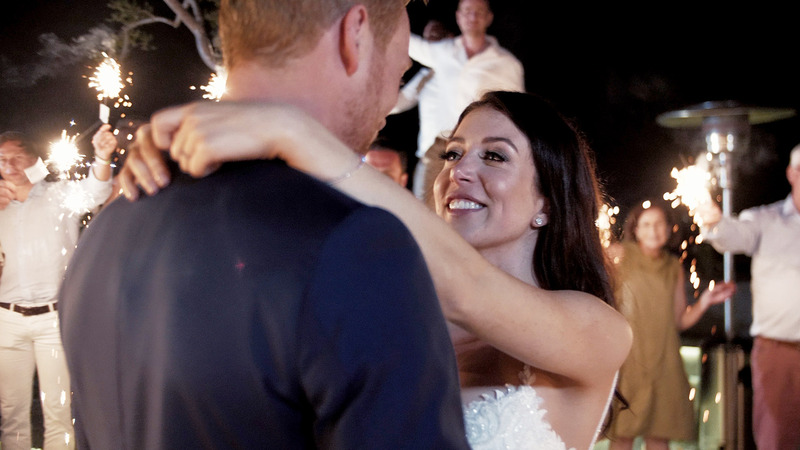 I really feel that this wedding video does a good job of summing up the vibe of the day. From morning to night, these guys just had FUN! I got to film smiling faced all day long, enjoy a cocktail or two and hang out with truly great people. Thank you guys, you showed me a good time and gave me so much material to work with to make this film. Please please please don’t run out of friends who want to get married! Just look at this place! 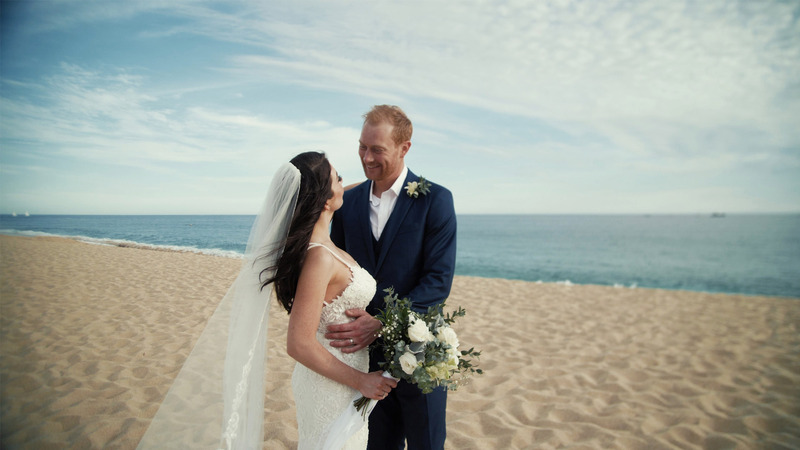 Just a short walk from the lively town of Cabo San Lucas, Sandos Finiesterra provided the perfect backdrop to Tasha and Ben’s Los Cabos wedding. I was able to spend a little extra time with the couple the night before and found a great spot, overlooking the harbour, for some nice romantic shots. The staff put on a great beach BBQ as well so which enabled be to get some great interactions with friends and family. Spending just a little extra time with the guests means I become more embedded in the whole celebration. Just one of the many reasons I love Destination Weddings. As for the day itself, both Tasha and Ben were able to prepare in nice big naturally lit rooms with great views. The beach was decorated beautifully and the staff provided a superb, wind resistant PA system (thank you!!). Cocktails were then served right at the beach and I may have sampled one of those myself. Traditional Mexican live music provided entertainment while tasty snacks were delivered to guests. For the photoshoot Sarah Richardson and I picked some lovely spots around the venue as we made our way back up to the reception. 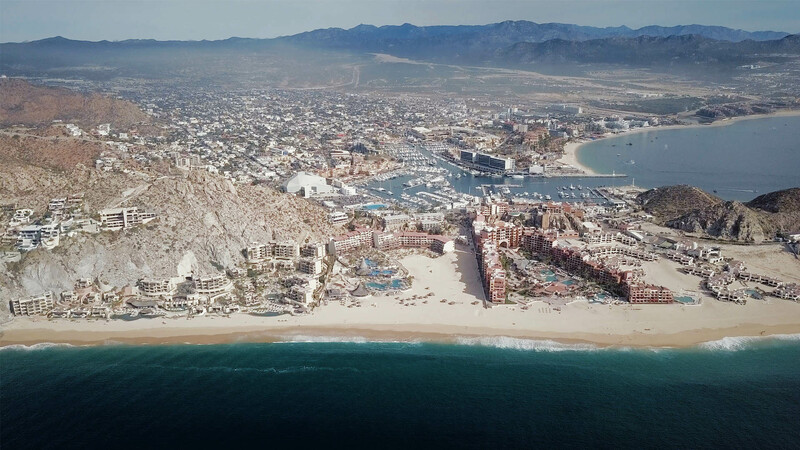 In case you happen to be looking for a Los Cabos wedding venue, bear in mind that Sandos Finiesterra has an epic roof-top lounge. Its reserved specifically for events and weddings so is nice and private. Oh and It over looks the marina with a perfect vantage point for your guests to enjoy the view. You may or may not know that Danielle (as in my wife and co-owner of Kismet Creative) is also the owner of All Dolled Up Makeup and Hair Studio. We work on many weddings together and her natural style perfectly compliments our candid cinematography. Also, when we book a destination wedding, we’re able to offer a package that includes both video and hair/makeup styling. And since we book our travel together we’re able to save a few $ for our clients. Win win!! I love working with Danielle. Its just the little things, like getting a heads up from here when she’s about half way through the make up (so I can start filming). Or picking a spot with lots of natural light or leaving a little for the end for some touch up shots. She just gets it. Being the co-owener of a videography company gives her the inside scoop on how she can help me and the photographers out during the prep session. Am I really giving a shout out to sparklers? Yes, I am. They’re cheap, easy and should be a part of every wedding. Especially if your guests hold them whilst they surround your first dance.